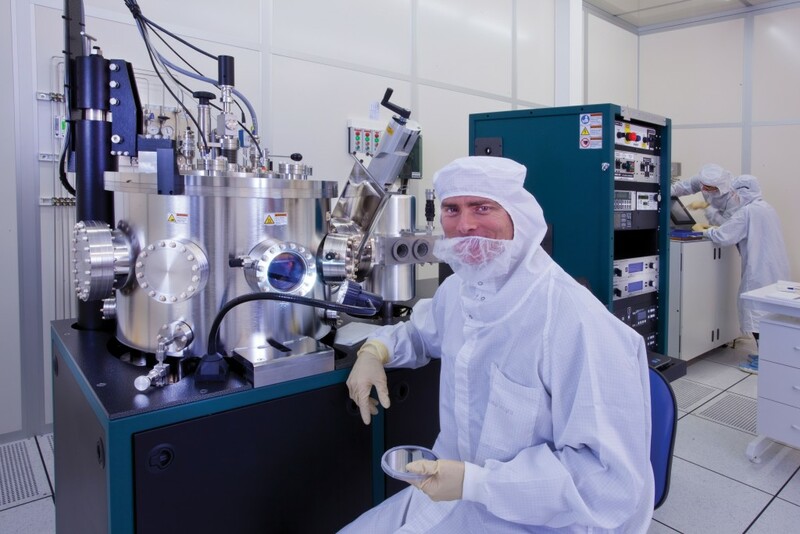 Researchers at the Technion-Israel Institute of Technology have developed technology to compress light wavelengths fourfold, providing a way to focus light beyond normal wavelengths to reach nanoscales (a nanometer is a billionth of a meter) in length. Using the metal-oxide-silicon (MOS) platform technology they developed for reducing the former “diffraction limit” of light wave length from 671 nanometers to 65 nanometers, a level at which “super-resolution” is possible, the researchers have made it possible to greatly advance the resolution quality for potential applications ranging from medical imaging to nanolithography (printing tiny electronic components). “With increased brightness and resolution, microscopes will have increased accuracy at the molecular level,” says Prof. Guy Bartal of the Technion Department of Electrical Engineering. Nanometer-scale structures, such as the lab-on-a-chip device that can integrate several laboratory functions on a single chip, can be fabricated easier and at lower cost using lasers with shortened wavelengths. Bioimaging can also become more accurate and detailed with improved light resolution. The team’s super-resolution platform uses ultrathin commercial silicon membranes coated on one side with a thin layer of silicone oxide (Si02) and a metallic layer so as to set the diffraction limit in a controllable way using two-dimensional silicon-based wave guides. (Fig 2) Not only does the new platform allow the researchers to successfully pass the diffraction limit, which was previously restricted to half the light’s wavelength, the new technology also “pushes” past that restriction without changing the color of the light. “By providing resolution comparable to state-of-the-art methods, and while keeping the simplicity and flexibility of a diffraction-limited system, we offer the potential to develop a simple, easy-to-fabricate microscopy platform that is compatible with the mature silicon industry,” said Dr. Bergin Gjonaj, a senior researcher in the lab who developed a method to dynamically control the location of the nano-scale focusing. The researchers’ ultimate goal is the creation of a more accessible device that is “on par” with current super-resolution techniques (which are still expensive, slow or energy-intensive) to make it possible to see biological activities at the molecular level.